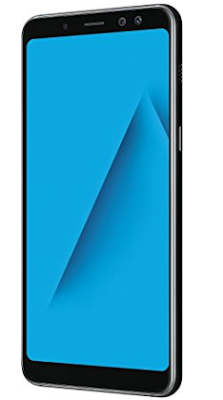 Samsung Galaxy A8 + (2018) It's the company's new offer in the price segment of 35,000 Rupees. The company has made its features of its flagship smartphone samsung galaxy s8 and Galaxy Note 8 as a part of the new price of a low-cost Galaxy A series. The Galaxy A8 + (2018) key Live Focus, Face Recognition in Feature Technology, Bixby Voice Assistant and Infinity Display. Galaxy A8 + (2018) is based on Android 7.1.1 nouga based on Samsung Experience 8.5, i.e. the user has an Android version of the customized version. This exclusively will be found on the e-commerce site amazon. In the beginning, we will tell you about the Samsung Galaxy A8 + (2018) design. This phone will remind you of Galaxy S8 and Galaxy Note 8. Reasons are the Curved Glass, Glass Backpanel and Infiniti Display. Thickness of this device is 8.3 millimeters. Handset width is 75.7 millimeters and length 159.9 millimeters. The body of the phone is very compact. Despite having a 6 inch display, the phone does not have trouble catching the phone. 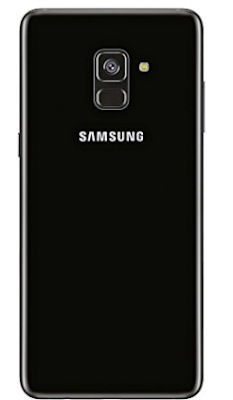 Weight is 191g, if viewed, it is more weight than Galaxy S8 plus. Samsung Galaxy A8 + has 6.0 Inch Super AMOLED Full-HD display. Its resolution is 1080x2220 pixels and aspect ratio is 18.5: 9. Like Samsung's current flagship device, this phone's screen is also vibrate and Bright enough. Viewing angles are fine. The level of Color Reproduction is also accurate. Most of the space is displayed on the front panel. For this reason, you will find the replacement of Physical or Capacitive buttons on the screen button. The Dual Selfie Camera Setup over the screen. Samsung's phone has been given two cameras for the first time. A sensor is of 16 megapixels and the second 8 megapixels. During the event we used the phone's dual selfie cameras sometime, especially for Live Focus Features. This is the same as the portrait mode, but it does not matter in performance. Foam Recognition Technique also worked fine. It also detects different Faces in low light. The Rear camera is of 16 megapixels. It is with Sensor F / 1.7 aperture. This means that you can expect better photos in low light. Due to limited time, we were unable to test much of the Rear camera. We will explain this in detail in detail. The last part of the device is of glass. The phone grip is good due to the curved design. However, fingerprint marks easily fall on it. Apart from this, too much can not be said about the strength of glass backpanel. Fingerprint sensor is found below the rear camera. The Galoud A8 + (2018) Loudspeaker and power button are on the right side. Volume buttons left has been found. Here's a tray for a Nano sim. USB type-c port, microphone and 3.5mm headphone jack have been found at the bottom. Is the top secondary microphone Here's the slot for the second SIM card and MicroSD card. The new Octa-core Samsung Acne 7885 processor in the Galaxy A8 + (2018) has been used. The most Clock Speed 2.2 is gigahertz. Let's say that the Acinos 7885 processor is Samsung's latest midrange chipset. We will take any decision on its performance during the review. Smartphone comes with 6 GB RAM. Inbuilt storage is 64 GB and it is possible to use 256 GB micro SD card when needed. It's shocking that Samsung used Android 7.1.1 Nouga and no official information about Android Oro Update is available. The Samsung Experience 8.5 User Interface is used instead of the TouchWiz UI of the company on Android. Samsung Galaxy A8 + (2018) battery is 3500 mAh.